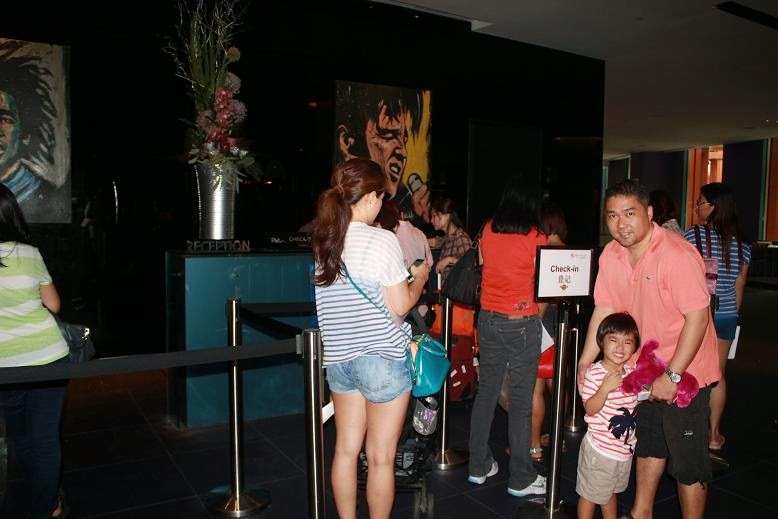 We checked-in at Hard Rock Hotel, Singapore for a 2D1N staycation in celebration of Father's Day. After checking in, we spent the rest of the day at Adventure Cove. Our water babies had a blast spending the whole afternoon with a good splashing time. Came dinner time, we filled our hungry tummies with Malaysian delights at Malaysian Food Street in Resorts World Sentosa. We also indulged the kids a little bit with sweets at Candylicious store. Detailed blog post coming soon! 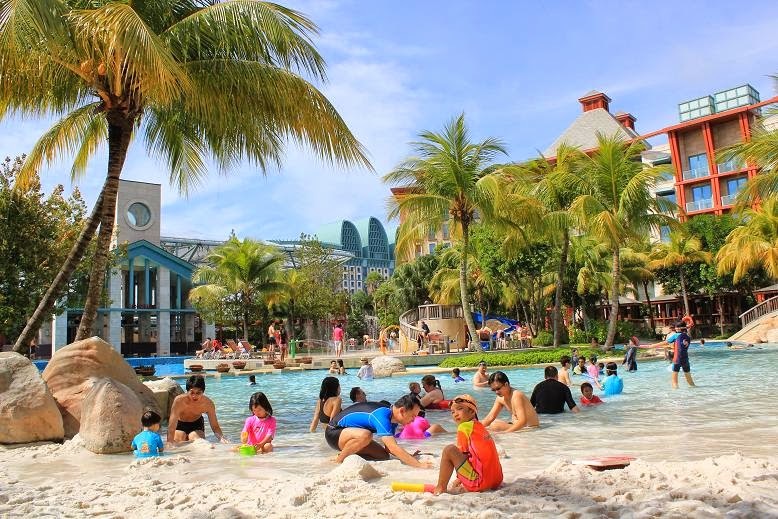 We spent the whole morning at the sand pool area of Hard Rock Hotel. We had a hard time letting the kids end their water fun to get ready for check out. After checking out, we had a satisfying and delicious lunch at Din Tai Fung and we explored the S.E.A Aquarium the whole afternoon. I hope I get to blog about it too in an exclusive entry soon. What a fun-filled long weekend for us. Life is good and GOD is great. Here's to more family fun and endless adventures! 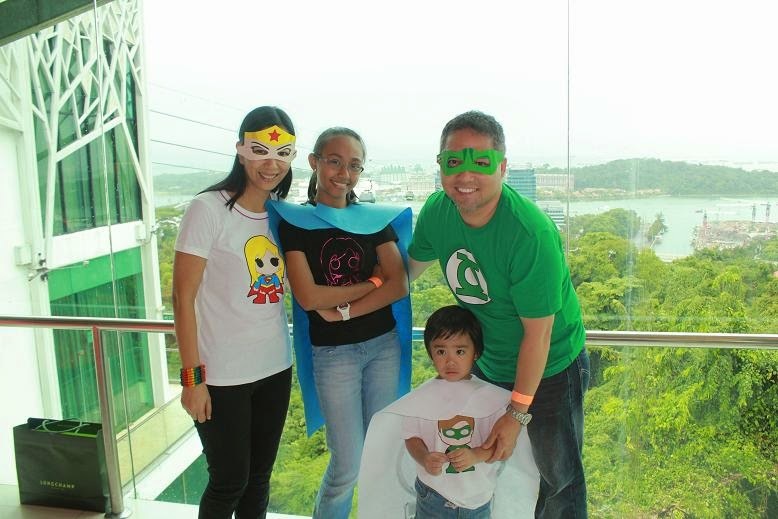 love love your super hero family picture, and wow, look at K, she's so tall now, tall and skinny like mommy. :) Glad you had a wonderful 3 day weekend Che.